Northstar Military Figures have started to offer individual Frostgrave sprues on their online store. That gave us an idea… So here is the Triple Sprue Challenge – get your kitbash on and win some prizes! The rules are simple. 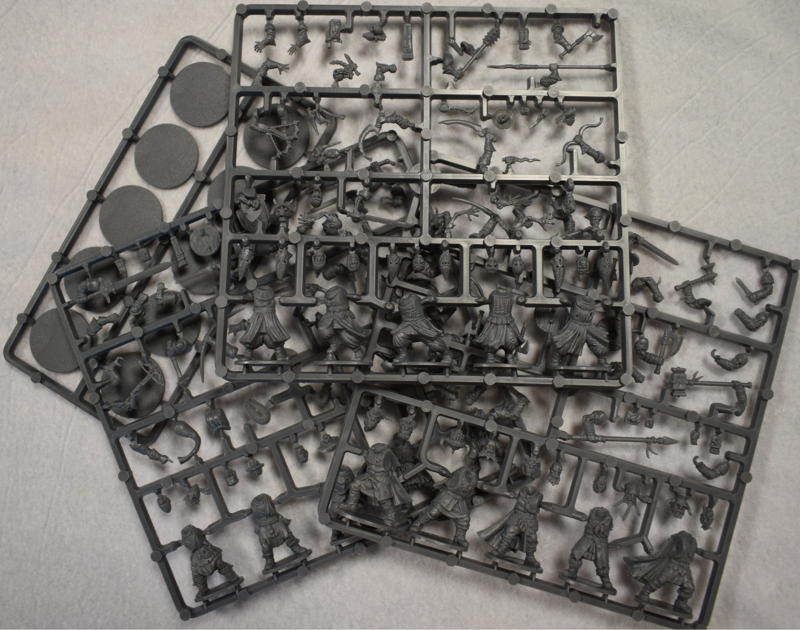 Using one sprue from each of the Frostgrave humanoid boxes – Soldiers, Cultists, and Barbarians (sorry Gnoll-lovers) – you must create three figures: a Wizard, an Apprentice, and a Captain. You cannot delve into your bits-box for pieces from other ranges – only components from the three sprues (and some modelling putty and wire rods for spears, staffs etc. if you like) can be used. To enter, please either email photos of your unpainted creations to info@ospreygames.co.uk or share your images on Instagram, Twitter, or Facebook with the hashtags #Frostgrave and #TripleSprueChallenge. All entries must be received by 30th September. We'll put together a gallery of entries at the end for everyone to enjoy. The judges will be an elite panel of Osprey Games staff, who will be looking for clever use of the components, interesting combinations of parts, and, above all, the coolness factor. One talented winner will receive the Grand Prize: a copy of the forthcoming Frostgrave: Ghost Archipelago rulebook, the Frostgrave: Ghost Archipelago Accessory Pack and a box of the plastic Frostgrave: Ghost Archipelago Crewmen! Three runners-up will each receive a copy of the Frostgrave: Ghost Archipelago rulebook (updated from a 20% discount voucher for the rulebook).